It's time to unveil my latest work-in-progress and this time I've gone for a bit of a fairy tale theme. 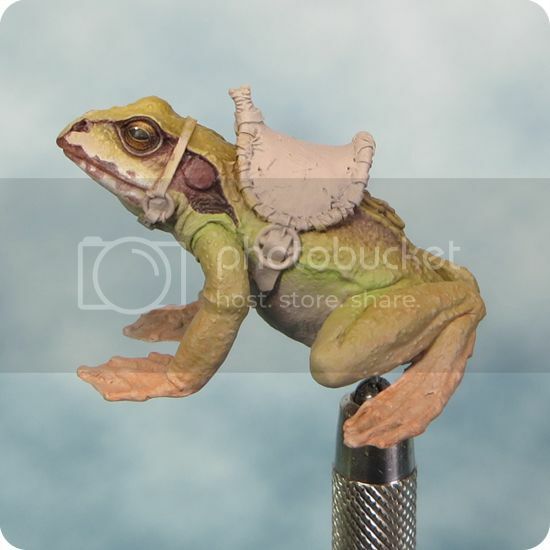 The mini is 'Squarg the Frog Rider' from Blacksmith Miniatures. I first spotted Squarg some months ago and decided to paint him right there and then. I usually like to see a mini for real before I decide to buy; but I took a chance, and ordered him straight away. I wasn't disappointed, the sculpting by Allan Carrasco is exquisite and the casting is top quality! 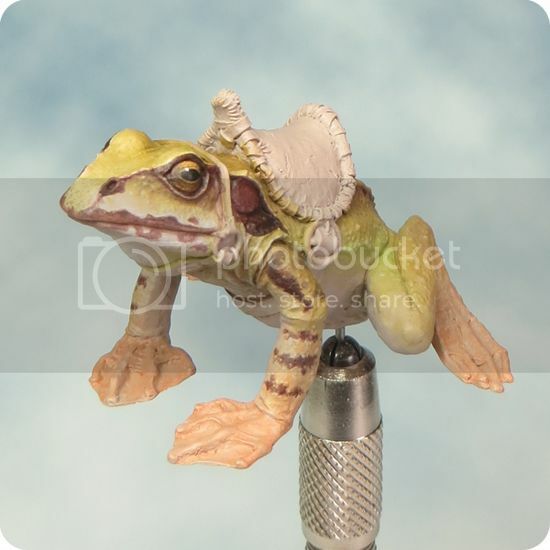 I'm taking a different approach to painting the frog from my usual method and working with transparent layers over a light base colour. 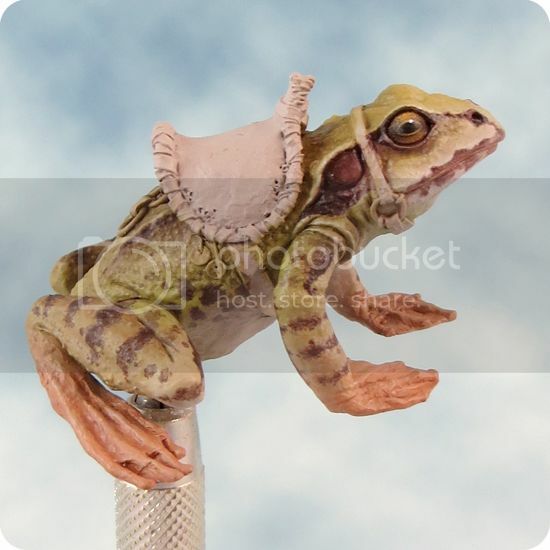 I think this will be the best way to achieve the subtle variations of colour and tone that make up a frog's markings. 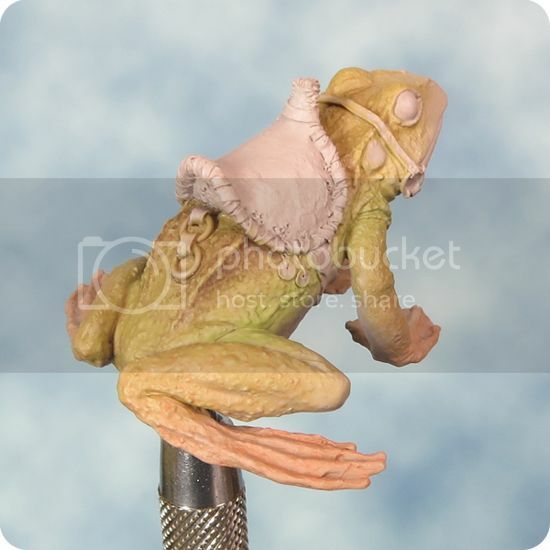 For reference I've used a selection of images of the European Common Frog. 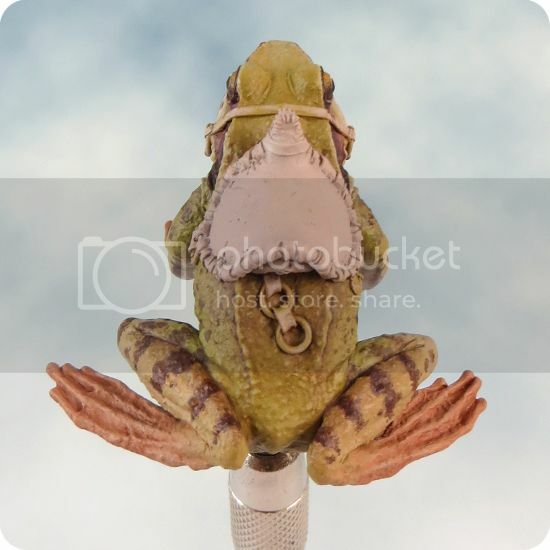 Although there are many shared features, the patterns and colouring on individual frogs can vary a great deal. 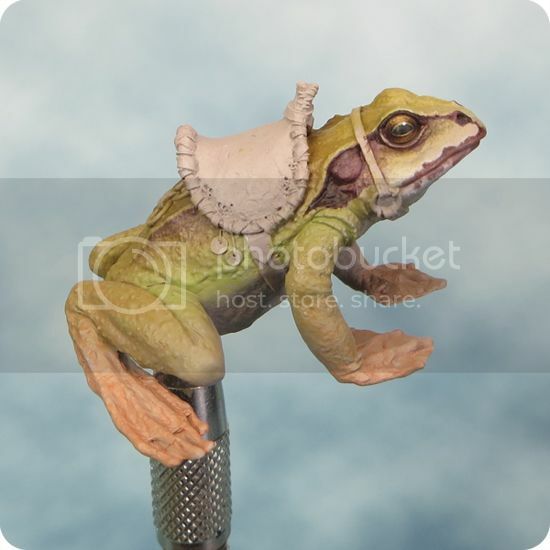 Rather than trying to slavishly reproduce the makings from a particular frog, I'm picking and choosing features to give the look and feel I want for my frog. 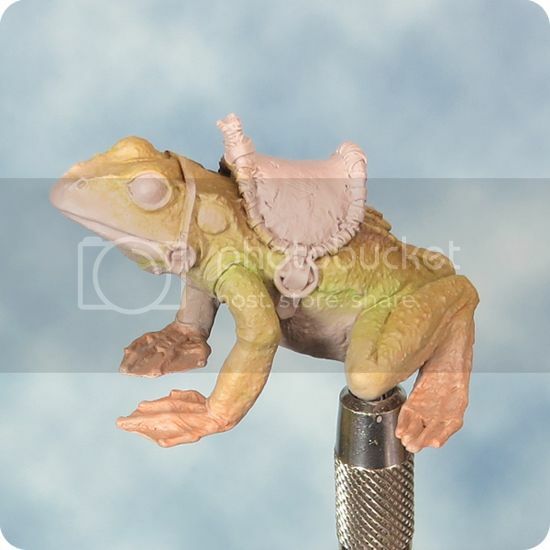 Having good reference will (hopefully) help me to paint my frog as naturalistically as possible. The first stage consists of a series of transparent coloured glazes. 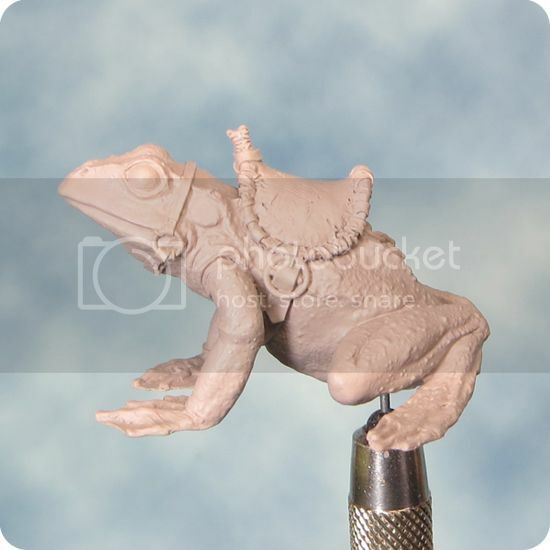 Unusually for me I worked over the entire skin area creating a layer of under painting that will form a foundation for the frog's markings. Working this way also enabled me to test out and finalise the colour palette I'll be using. Next I began to strengthen some of the colouring by building up further glazes. The intention is to leave the highlight areas with less layers of paint on them, so that light base colour shows through more than in the shaded areas. If successful this way of painting will give a rich and luminous colour, as the light passes through the layers of paint to bounce off the light basecoat beneath. 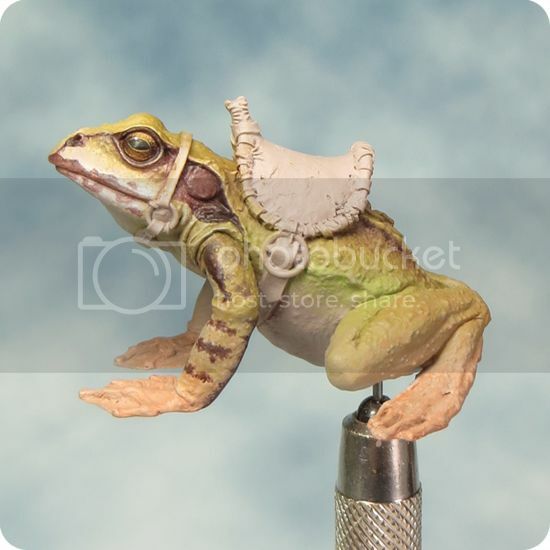 I also started to paint in the frog's markings, a series of spots, splotches and stripes. The intention is to create varied and natural looking textures within the marking. To achieve this they are built up with a combination of daubs, stippling glazes and sponging. Combining techniques makes for a less obviously painted look, I feel. Progress on this mini has been surprisingly fast (for me) and that would seem to be as a result of the change in technique. 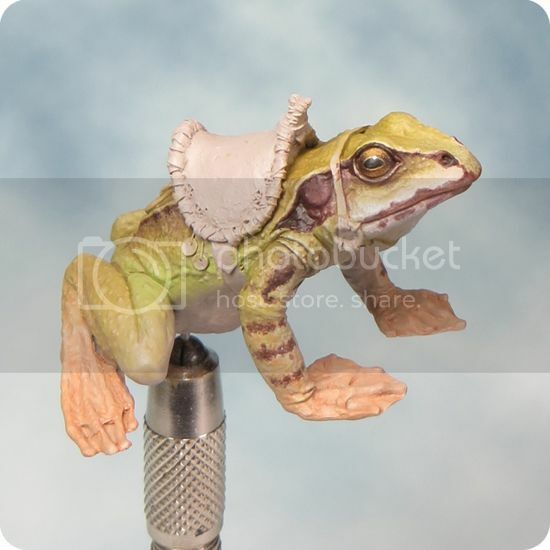 The frog is turning out to be a really enjoyable mini to paint and I'm quite excited about how the project will develop. SALUTE 2014 - a brief report. 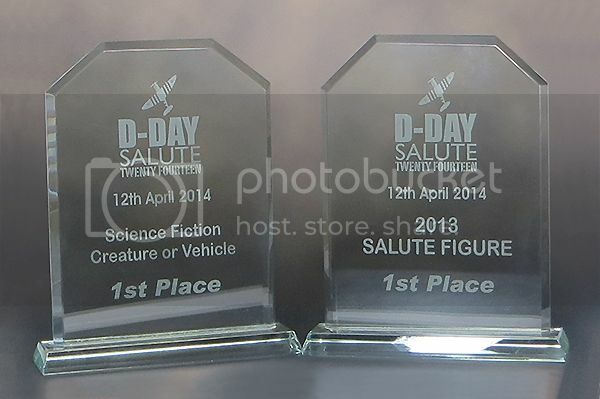 Salute felt like a much bigger event in every way this year (not that it wasn’t big last year!). I thought the painting comp was tougher with more entries in general and more entrants coming over from other countries. The judges really had their hands full with what looked like a huge number of finalist to sort in a relatively short time. Just like last year the day seemed to go in a flash! There was loads to see and a ton of cool people to meet and chat about minis with. Getting to meet up with fellow enthusiasts at these events is one of the best things about them! Despite all of the opportunities I resisted the inevitable urge to spend too much money but I found it pretty frustrating. 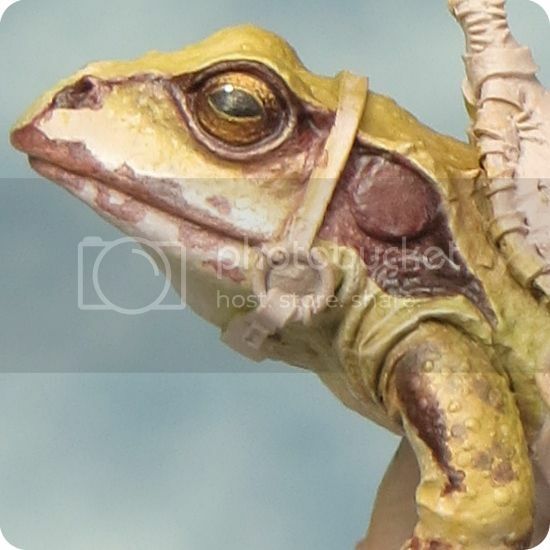 I saw so many beautiful minis that I would love to paint but I’ve got to be realistic. There’s no point buying a load of stuff I’ll never get round to painting. Having said that I did get my hands on a couple of very nice pieces from Infamy and Twisted that I'm quite excited about painting so expect more steam punk from me in the future. To cap off what was already a very good day both Jason and Chee-Chee got first in their respective categories. My promised write-up on Jason has been a bit delayed by preparations for Salute but now that’s all over I‘ll be posting it as soon as I can.